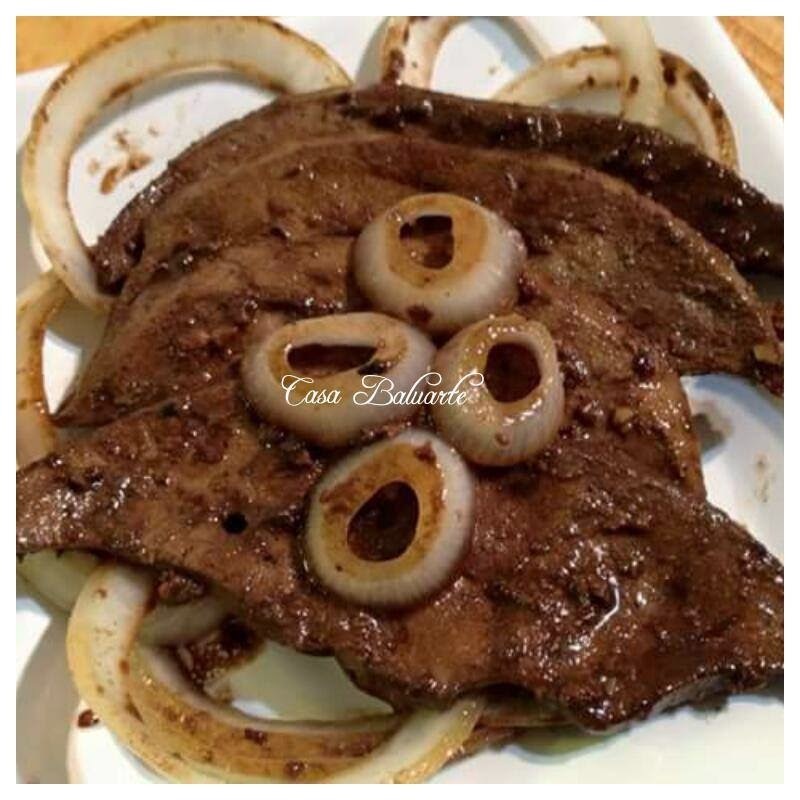 Here is a Filipino version on how-to-cook Pork Liver and Onions. Heat pan in medium low heat. Add cooking oil. Fry sliced onions quick then remove from cooking oil and set aside. Using a deep bowl mix vinegar, soy sauce, garlic, sugar and ground pepper. Add slices of liver and marinate for 15 minutes. Remove liver, drain and set aside the marinate for later. Quick fry the marinated liver one by one and set aside. Using the same pan place the remaining marinade and simmer in low heat till sauce thickens. 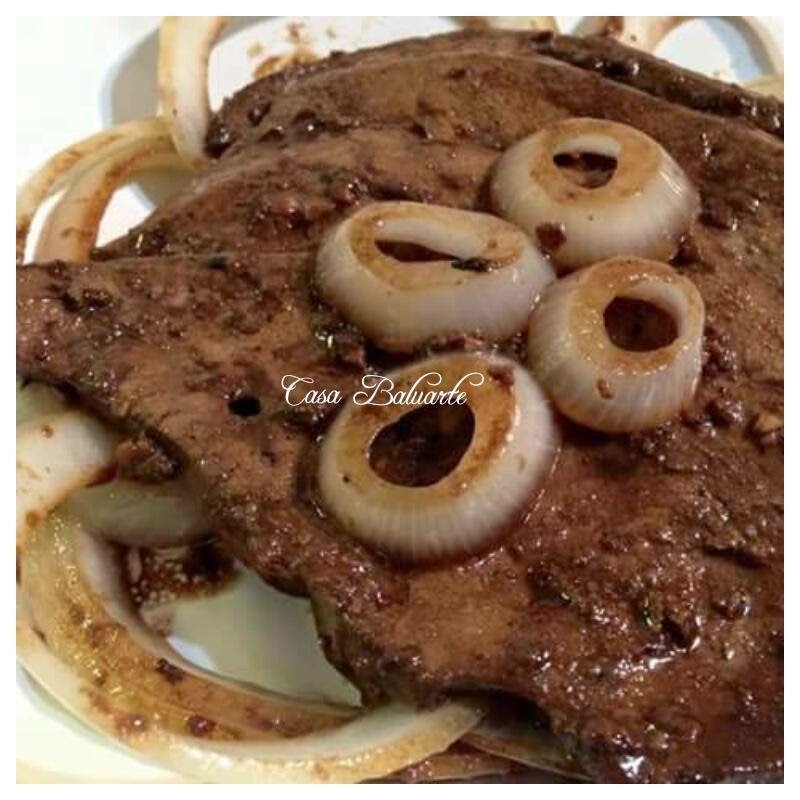 Return the fried liver and the fried onions to the sauce and simmer for few minutes. Arrange in a serving dish and serve hot.